The perfect low heeled wedding shoe – this style was inspired by one of our bestsellers and has a vintage look with a T-bar, cross over ankle straps and pretty heart detailing on the back. 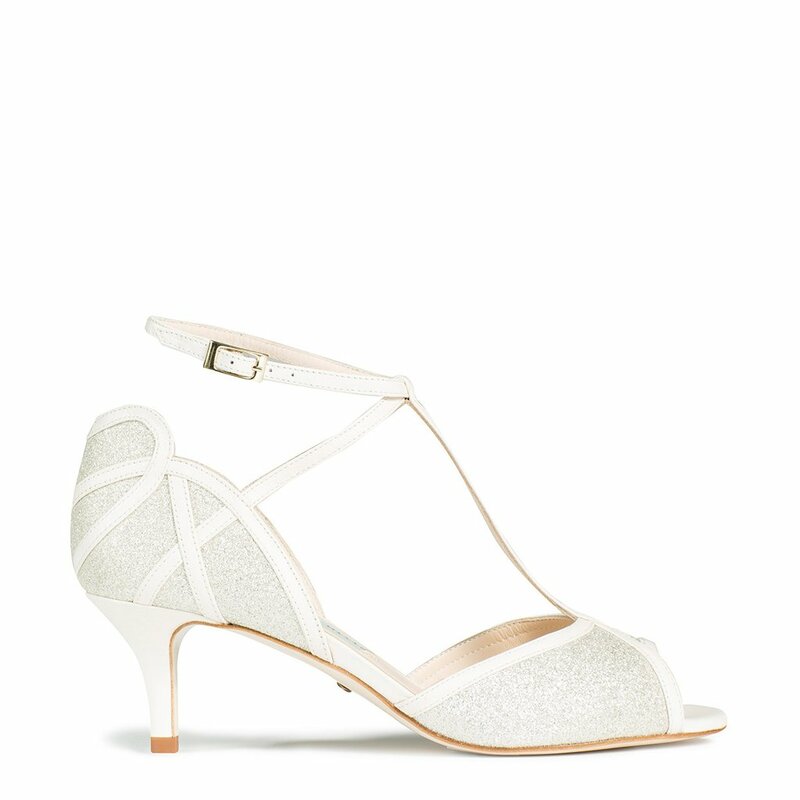 The perfect heel height for all day wedding celebrations. Available in ivory leather and champagne fine glitter with pale gold buckle.